Cavities have always been a trial of childhood, along with getting the mumps and chicken pox. By the time children shed their baby teeth and get their permanent ones, they hopefully have established good dental hygiene that limits these problems in the future. While that's the goal, a recent report by the Pew Charitable Trust finds that reality presents a different picture. It calls dental care the single greatest unmet need for health services among children. It identifies tooth decay as the most common childhood disease, with nearly 60% suffering some kind of dental problem. 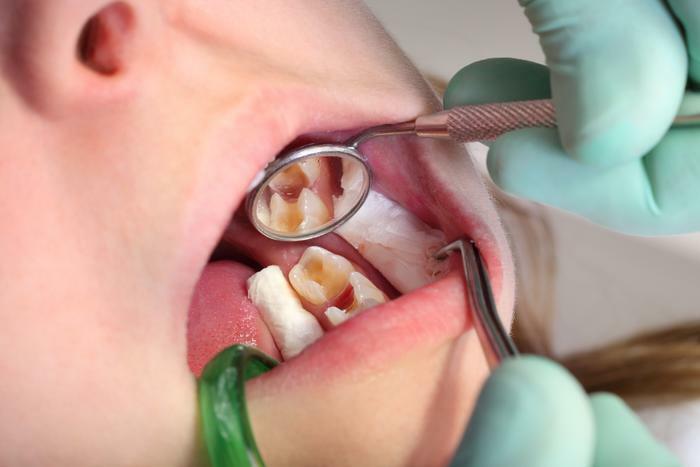 The Great Recession made the problem worse, with a survey by FORBA, a dental practice management company, finding low-income families with children reduced their children's dental care since 2008. Twenty percent said their children did not see a dentist at least once a year. Adults appear to be skimping on visits to the dentist's office as well, putting off treatment of dental issues until things get serious. The American Dental Association reports the number of dental emergency room visits in the U.S. rose from 1.1 million in 2000 to 2.1 million in 2010. The study also noted that 41.8 percent of all these emergency visits were for conditions that could have been easily prevented with proper dental care. 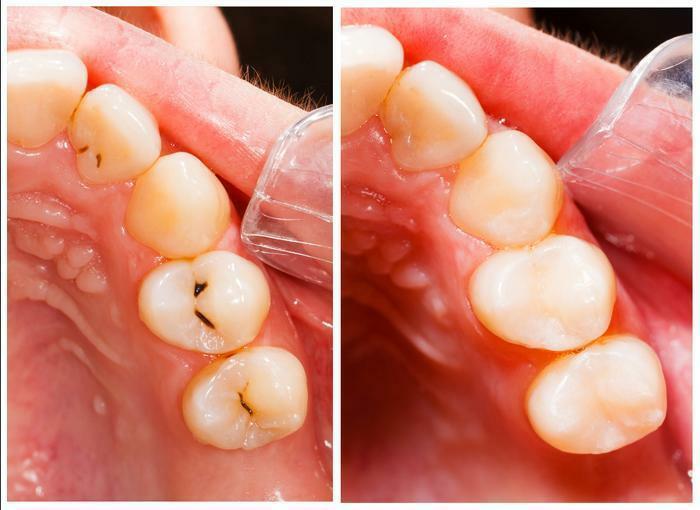 The root cause of most dental problems is the cavity, a hole in the enamel of the tooth that, left untreated, can expose the root to bacteria and become infected. There's a lot of confusion about what causes a cavity, with many people assuming too much candy and sugary soft drinks are the catalysts. "The reality is that based on all the evidence we now know, it's a lot more involved than that," said Dr. Joseph Field, a dentist at the Peninsula Center of Cosmetic Dentistry in Los Altos, Calif.
Field points out that sugar doesn't cause cavities, the waste from bacteria in the mouth that feed on that sugar is the culprit. The waste is an acid that eats away at tooth enamel. To prevent cavities, Field said, you really should brush after every meal. If you have fruit juice, high in acid, drink some water afterward. It will help wash away some of the bacteria waste before it can attack your tooth enamel. While foods high in sugar and carbs are bad for teeth, probiotics like yogurt can have a healthy effect. "It's about the whole body," Field said. It's also about brushing. Fields recommends a fluoride toothpaste after meals, using an electric toothbrush for two minutes, flossing at least once each day. He says a fluoride mouthwash can also help. Perhaps to make dental care more fun, as well as effective, Oral-B is introducing a smart electric toothbrush it playfully describes as a “Bluetooth brush.” The Oral-B Smart Series hits the U.S. market in June 2014, connecting with a smartphone app to monitor your daily dental care and to keep you on track. Among other things, it times the length of time you brush. Dentists recommend two minutes but most people don't spend that much time brushing. The SmartSeries nags you if you fall short.